Do you live in a biosphere reserve? Did you know that you live in a Biosphere Reserve? 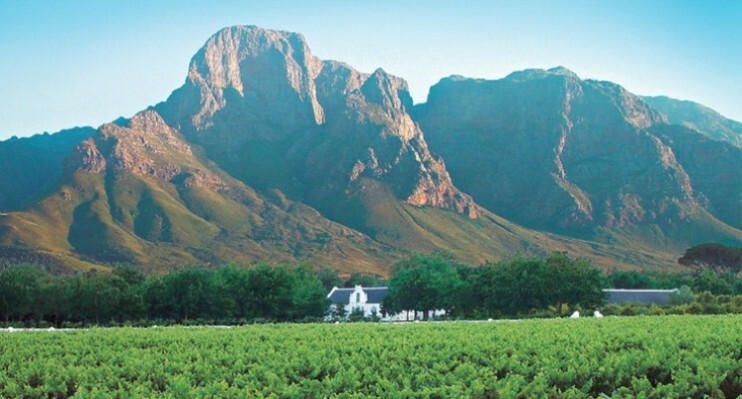 If you are from Stellenbosch, Pniel, Franschhoek, Paarl, Wellington, Rawsonville or Villiersdorp you live inside the beautiful Cape Winelands Biosphere Reserve (CWBR), while people from Ceres and the Strand live just outside it. The CWBR was designated in 2007 by the United Nations Educational, Scientific and Cultural Organization (UNESCO) as one of its 621 Biosphere Reserves. South Africa presently has six of them and in the Western Cape there are also the Kogelberg and Cape West Coast Biosphere Reserves. The main aims of biosphere reserves internationally are to promote biological diversity, sustainable development and logistic support, the latter including research, education and training. Every biosphere reserve has a pristine core area where no urban development is allowed, a surrounding buffer area that protects the core and a transitional area in which urbanization and cultivation can take place. This represents a new planning concept which promotes both conservation and development on a broad scale – activities that were often in conflict with each other. In this regard, the CWBR has commissioned the drafting of a spatial framework plan, based on bioregional planning principles, that provides detailed spatial guidance for future land-use management. In the CWBR, the core area comprises provincial and local authority nature reserves as well as one private nature reserve (Elandsberg). It includes areas such as the Hottentots Holland, Jonkershoek, Limietberg and Jan Marais Nature Reserves. Buffer zones include mostly natural areas that are registered as private nature reserves or are included in private conservancies, such as the Bottelary and Greater Simonsberg Conservancies. In these areas the main objective is to protect and maintain the rich biodiversity by supporting activities such alien eradication and fire management, and to maintain the integrity of the rivers that flow through them. These areas render important ecosystem services such as providing clean water and sequestering carbon dioxide, and they can be utilised for low impact activities such hiking and bird watching. Sustainable development is a broad concept that includes sustainable living and human well-being. Living sustainably implies that we must all as the inhabitants of he CWBR be committed to reduce our impact on the environment by measures such as recycling, stopping or minimising all forms of pollution, saving electricity, fuel and water, and maintaining trees. Human well-being requires the eradication of poverty through economic development, job creation and education, achieving racial harmony and equality, the resolution of conflicts and the availability of health and other services to all. The initiative to establish the CWBR was taken by the Cape Winelands District Municipality, which is now a partner and provides secretarial services. It is registered as a non-profit company and is administered by a Board of Directors. Presently the directors are Jan Giliomee (Acting chairman), Mark Heistein (Managing Director and Coordinator), Les Holmes (Past chairman), Adele Toua, and Heidi Muller. They are assisted by Adv Charl Frank and Brian Howard. You can actively support the CWBR by becoming a member. Membership is free and open to all who subscribe to the ideals above. Contact Quinton Balie via email or write to him at at Cape Winelands District Municipality, PO Box 100, Stellenbosch 7599 for an application form.